It is getting harder to find fresh Stingray at wet market these days in Kuala Lumpur. It has been a while since I asked my mother-in-law to look out for it and she managed to get some really beautiful Stingray lately. The minute I saw it, I knew it had to be Assam Pedas! In a pot, heat oil over medium heat and saute ground spices paste until fragrant. Add some water, daun kesom, bunga kantan and pineapple. Add the remaining of water and bring to boil. Turn to low heat and simmer for 5 to 10 minutes. Add in onion and all the seasoning ingredients. Add in stingray and cook for 5 minutes until fish is cooked. Adjust the taste accordingly. 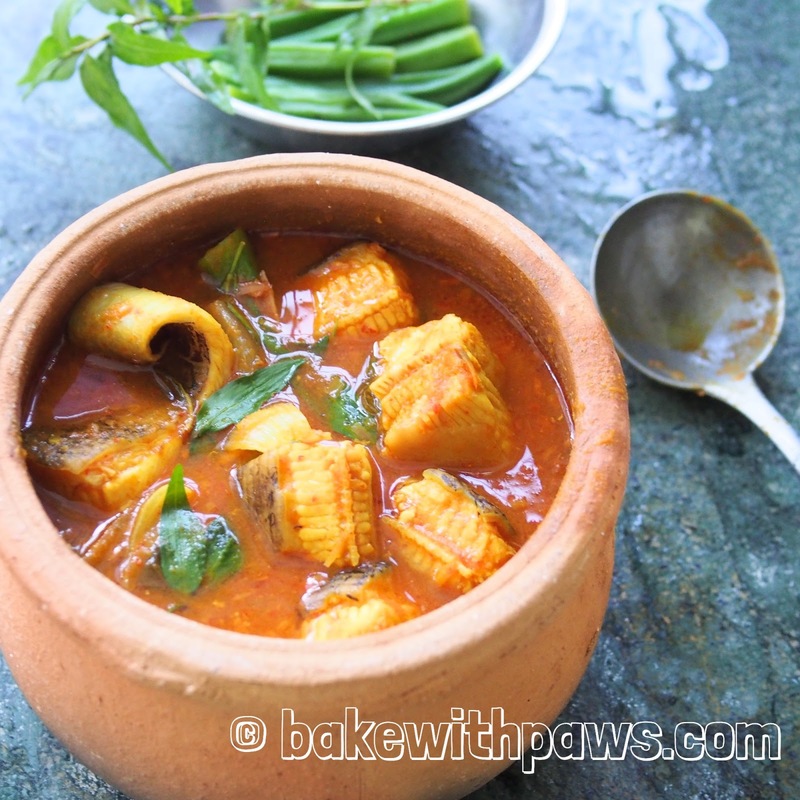 You may add some okra (lady's fingers) into the asam pedas. 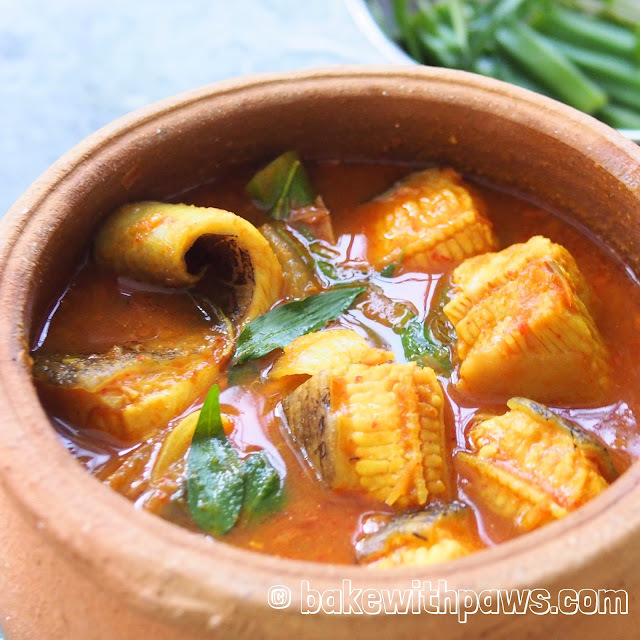 Just blanch okra in boiling water and add into Asam Pedas.